High quality Sun Visor Tissue box cover . Clip on belt design for very functional access and easy mobility. 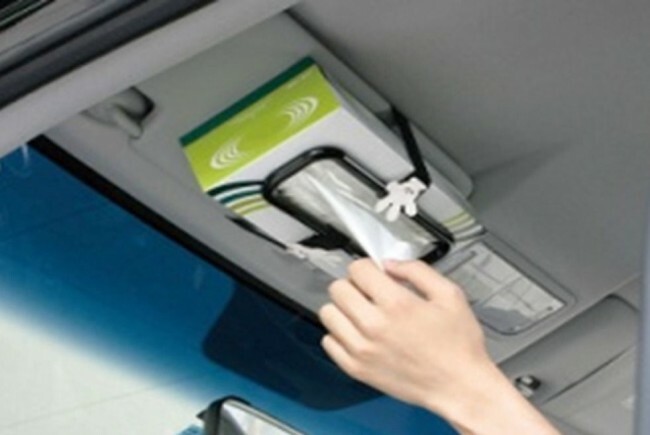 Simply clip on to the sun visor, easy to fit. A very useful addition to any vehicle. Universal fitting, can be fitted to all vehicles.